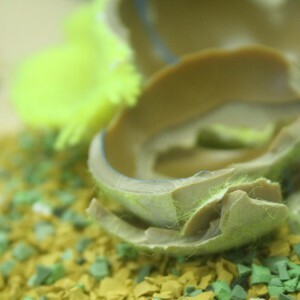 Each year, 130+ million tennis balls are disposed in the US and approximately 325 million worldwide. That's enough to fill 6,000 semi trailers or fill the Empire State Building to the 62nd story. After years of research, product development, collaboration and teamwork, an holisitic recycling program for tennis balls was born, driven from the beginning by HABU(R). As with all complex recycling initiatives it takes a blend of partners, expertise and perserverance to achieve the desired results. The HABU(R) Sources for this recycling solution include Tennis Ball Recycling, Poject Green Ball, Rebounces and Ecore International. The HABU(R) Hosts for it are Advanced Polymer Technologies, and Ace Surfaces. The result was a scalable collection system for old tennis balls, an innovative recycling process to liberate the valuable materials in the balls and a high quality, relevant use for them - premium cushioned indoor/outdoor sports surfacing systems - The Laykold Masters 5 and Laykold Masters 8 - each court using approximately 10,000 balls. 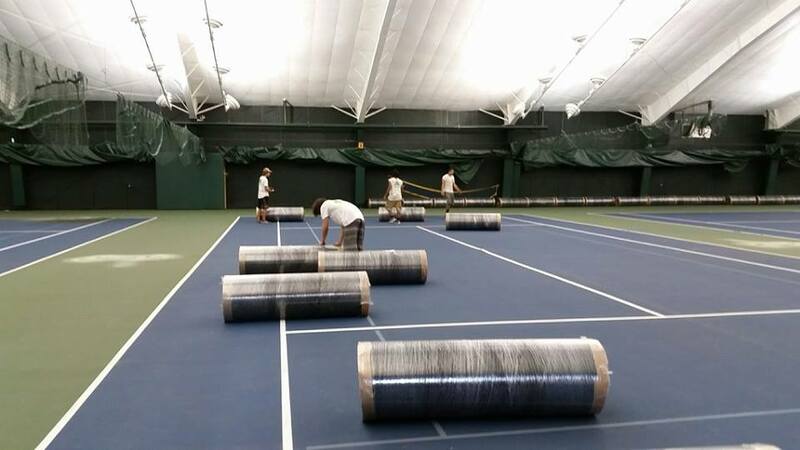 The first eight tennis ball courts were installed in Tenfly, New Jersey in September 2015.